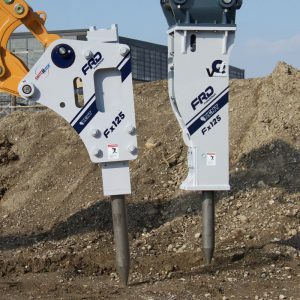 The Fx125 breaker has a 10- to 15-ton carrier range with two unique configurations, making this mid-sized hammer the perfect choice for backhoes and mini-excavators. Designed to handle larger, more demanding tasks, the Fx125 is perfectly suited for use on roads, bridges, rock, utility applications. It can also be mounted on pedestal systems for breaking oversize material in quarries. Like the other hammers in the Fx family, the Fx125 offers improved durability, with features that include a square, mono-block body for superior strength and a replaceable cylinder liner for reduced maintenance. 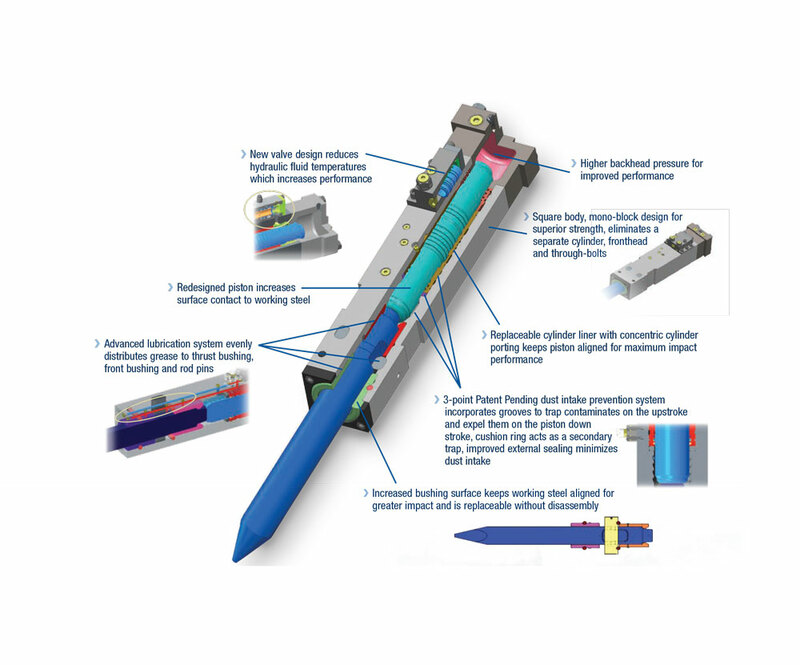 Plus, the elimination of thru-bolts has proven to significantly lower downtime and failure. Impact energy class 2,000 ft. lbs. *NOTE: Total weight and total length include standard working steel and universal top cap (with a Qtv configuration), less mounting pins and bushings.